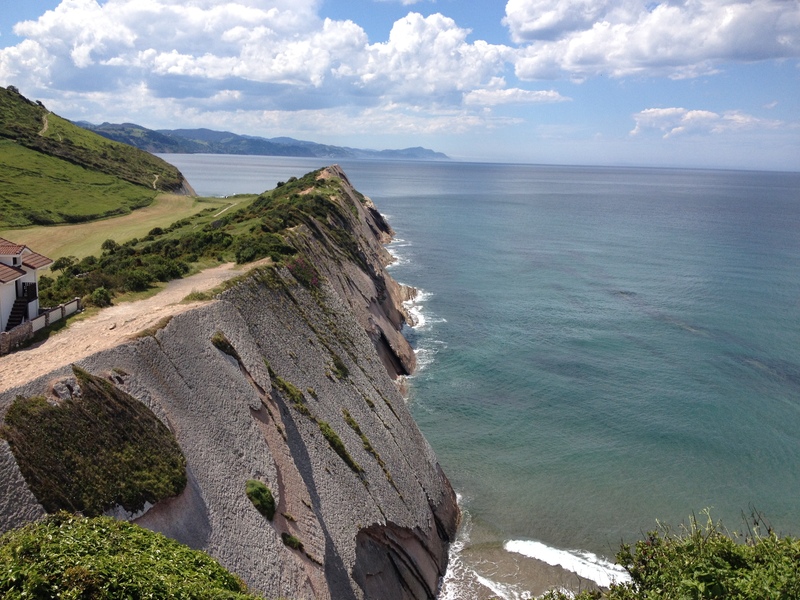 GIPUZKOAN COAST II REGULAR EXCURSION - WEDNESDAYS 2019 ZUMAIA, GETARIA and ZARAUTZ 09:30h	Reception with the group in San Sebastian, in Frantzia Pasalekua 21 / Urumea Pasalekua. 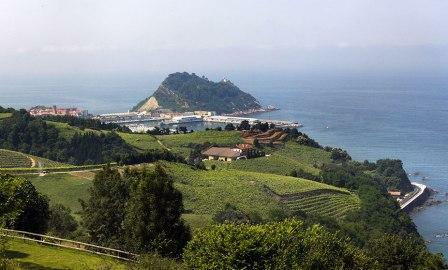 Departure to Zumaia, where most of the first habitants of the town were engaged in the cultivation of the field. Although their grouping in the same place accelerated the appearance of some professional and industrial activities, by the end of the 14th century, ships were being built in the estuary. The spectacular cliffs hide a unique natural treasure: millions of years of geological history written in the successive rocky strata. This is possible because they have been exposed due to the continuous action of the sea. The history of Getaria starts from an undetermined date. This inaccuracy is due to the loss of the document which gave origin to the town, the jurisdiction. Its maker was the King Sancho VI of Navarre, who towards the end of the 12th century distinguished with its concession the inhabitants of the coastal enclave. In the following years, Getaria was subject to a radical political change, Alfonso VIII of Castile conquered Getaria in the year 1200 and hastened to confirm his charter (1209). 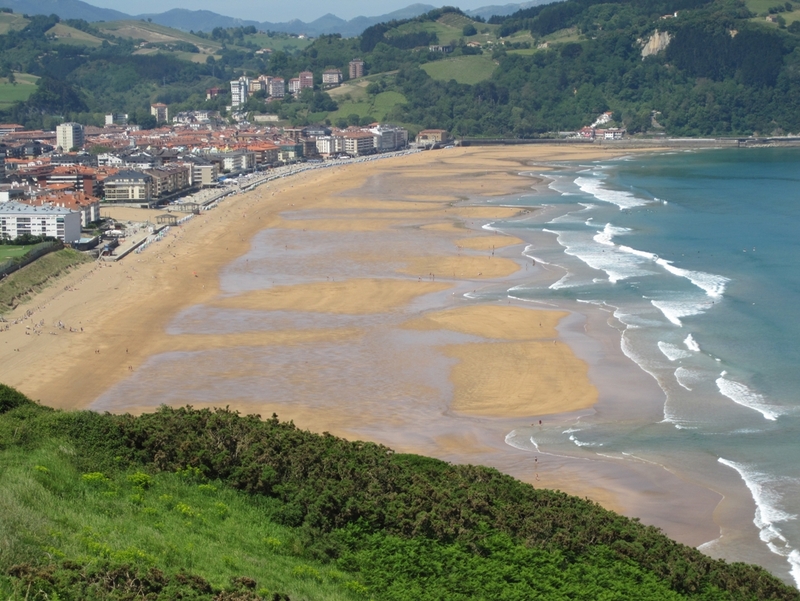 Zarautz is located in an extensive plain in the province of Gipuzkoa and is open to the sea. Its main attraction is its two kilometers long beautiful beach, with very fine sand flanked by the cliffs of Santa Barbara and Mollarri. 17:30h	Approximated time of arrival in San Sebastian. DEPARTURE DATES 2019 Wednesdays from 3th of January 2018 to the 13th of March, 2019 (Check Easter, Christmas and festive days). PRECIOS PVP Prices for 2 people:	120 €/pers INCLUDES - Transport according to the composition of the group in van / minibuses or luxury coaches. Once the excursión is confirmed, the place and time of collection will be set. - Accompanying Guide. In case of groups with less than 15 pers, it can be a guide-driver. In some cases we can have local guides and accompanying driver. - Informative material about the trip. DOES NOT INCLUDE - Lunch. - Travel assistance insurance and cancellation. - All kind of personal expenses such as drinks, tips, etc. - Any other expense not specified in the program and not mentioned as included. IMPORTANT NOTES - The visits may be modified by changes of the entities to visit, due to weather issues, for reasons beyond our control or for readjustments of the program. - The children between 2 and 12 years old, will have to be accompanied by adults. - In the groups with less than 15 people the visits may vary both in content and form, having to accommodate/adjust to regular visits that are made in places to visit.